technologies and provide career guidance. 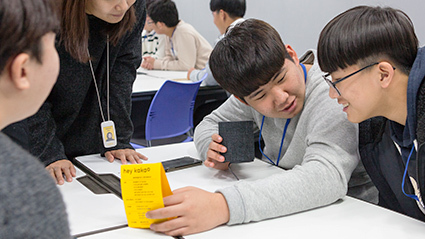 Kakao and our various partners prepares teachers and students for the future by providing information and training on next-generation technologies and careers. 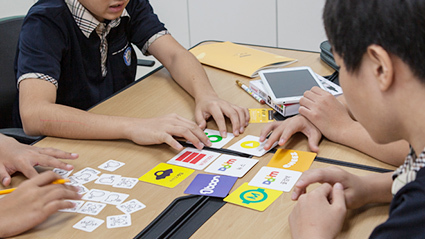 “Unplugged Day” is an annual program held by Kakao and teachers to provide creative IT and software training to fellow teachers and students. Since 2011, Unplugged Day has introduced IT trends to teachers, students and partners through various programs, including IT-related student workshops and teacher seminars. 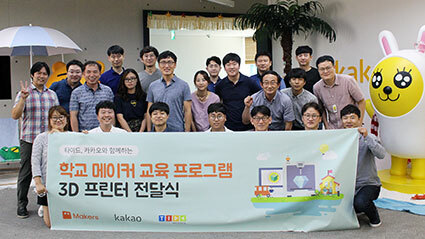 Kakao provides career workshop programs for youth to experience how their life is changing due to advanced technologies including AI, and give them an opportunity to prepare for the future. In these workshops, participants are introduced to not only technologies but also Kakao culture, the development process of mobile services and roles of each job field. They also have an opportunity to find out what their aptitude is through sessions like "Plan Your Own Mobile Service" or "Find AI in Services". IT for Everyone is a program that supports IT training for the public. IT for Everyone aims at expanding innovative IT training programs, supports training programs that help eliminate the information divide, as well as online communication activities that help promote public interest activities. The program also supports 15 projects that are selected from publically submitted candidates. 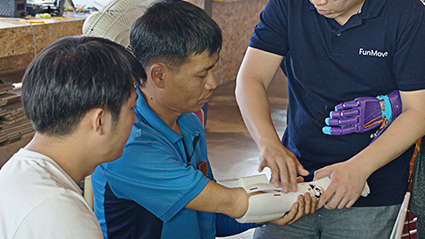 Programs include coding training for the socially disadvantaged, workshop on creating prosthetic limbs with 3D printers, and providing training on becoming a webtoon artists to the disabled. Maker Education for School - Learning by Making! We have reached the fourth industrial revolution, where anything we desire or imagine can become reality. Maker Education for School is a program held for teachers to ensure that hands-on training is provided in young students’ education. This program includes 3D printer modeling workshops and seminars that provides teaching skills on 3D printing and modeling. The program also provides 3D printers to schools. Maker Education for School has been held since 2015, in association with the 3D printing and modeling program “Makerbus”. 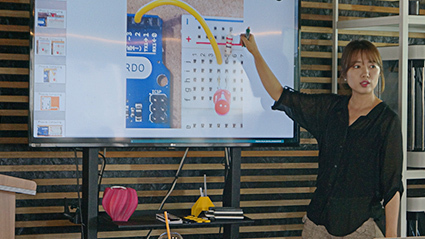 Over the past three years, the program has trained more than 885 “maker” teachers through five seminars and 15 teacher workshops, and has given out 3D printers to 55 schools.